$35 for a 12-month individual membership. $50 for the entire family. 6202 Cycling is an active riding and racing club designed to create a local community of like-minded, passionate riders. We have partnered with Pactimo to bring our members a beautiful kit with different designs for the road and the dirt. A loaded calendar allows members to create and join rides all year long, and our buzzing online Facebook forum is the perfect tool for sharing advice, stories, and connecting with others for that last minute spin. 6202 throws multiple events each year to award members, watch races, and hand out some pretty sweet 6202 branded swag. There is no better way to meet people than to hang out with a bunch of like-minded individuals. Bring your family out for one of our social rides and enjoy some good conversation at a kid-friendly pace. Partnerships with progressive brands like Bike Source, Pactimo, Smith, and VeloInk give rise to exciting products and discounts. 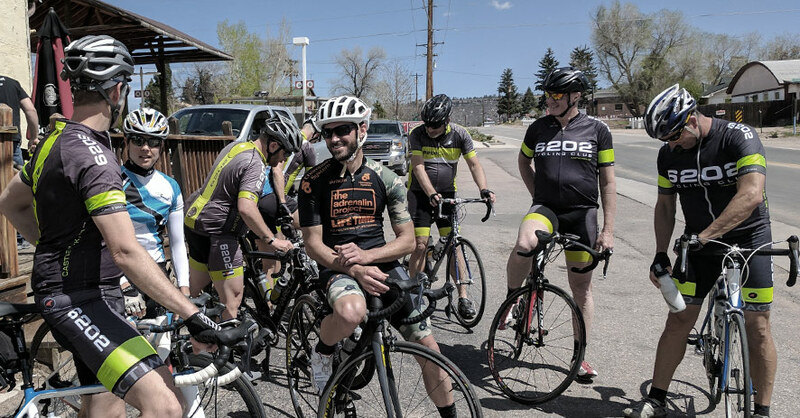 6202 is the first cycling club of its kind in Castle Rock: an active riding and racing club designed to create a local community of like-minded, passionate road, mountain, and cyclocross riders. From the day you join, you will have a full year’s access to exclusive club kit, as well as the chance to participate in club rides, races and special events aligned with 6202 Cycling.